Living in the city in which “Muni humper” incidents polluted our transit experiences not once (the first we were tipped off was in 2009), not twice (2017), but three times (2017 the sequel), I’m more than a little wary of crotch-to-shoulder distance. I’m also more than a little wary, full stop. 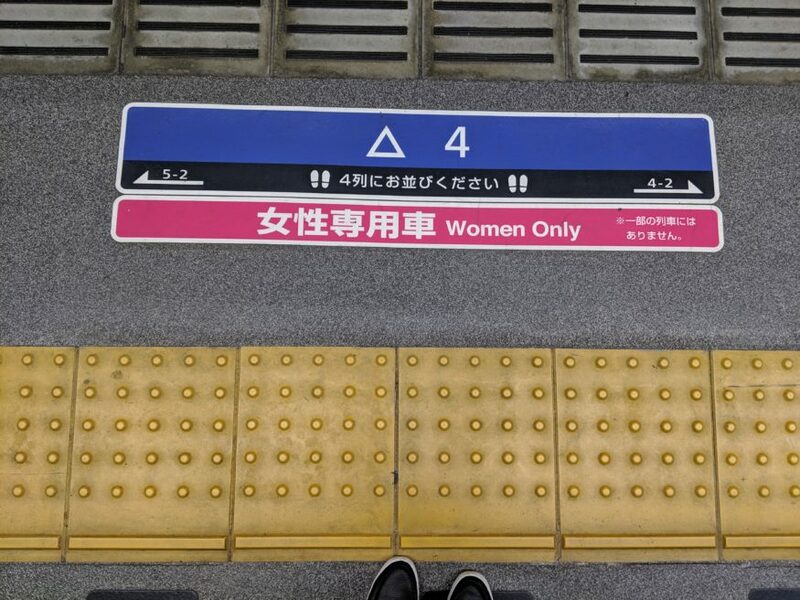 Japan, Mexico, and Brazil, among other nations, recognized this pervasive (and disgusting) problem and did something about it with women-only trains. In Osaka recently with girlfriends, I finally got to experience one of these myself—and it’s as good as I thought it would be. In addition to beholding the wonder of trains running like clockwork, amid a culture that demonstrated an amazing level of public politeness and modesty, I appreciate the acknowledgement that the female experience on public transit —or at work, or in our home lives, or, or, or…—can be different in a bad way. 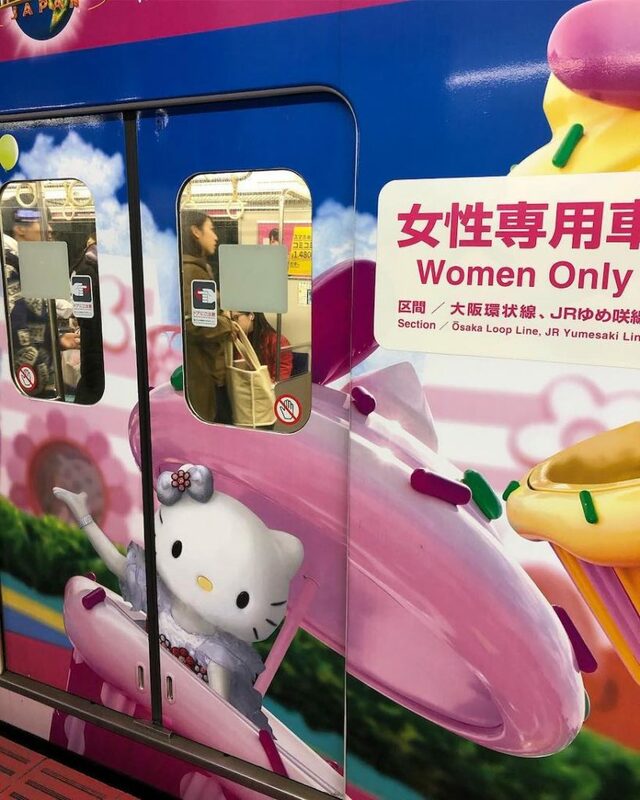 Also them seats were heated and Hello Kitty is on the train car wrapper. San Francisco ladies have a lot to be proud of in spite of the occasional frotteurism that can taint (as it were) our journeys. One Muni hero looked an attacker right in the eyes in defense of a fellow passenger and an entire set of women formed a literal line of defense between another Muni passenger and her assailant. Not everyone knows (or believes) it, but Muni Diaries is a lady-driven venture. Join us this Saturday at Muni Diaries Live for IRL stories and merriment. Tickets and details in the link. Pics by roopisonfire and travel buddy Ericka.